You know the old saying, “Less is more.” Well, not in this case. More is best or at least it can be better and the key to elevating your style. WhoWhatWear recently wrote a post on this very thing. Apparently, in the retail world, there is a little tip that is shared with employees to help them look pulled together and stylish. A third piece can mean the difference between drab and fab. Basically, a third piece says, “I tried. I gave it some thought.” And if you want to elevate your look even more, add a fourth and fifth piece to “wow” the world. So go for the unexpected. Make it interesting. Take this neutral on neutral look. Black jeans, grey checkered button down, black vest. While the vest and shoes are a cute addition, they don’t make it interesting. Like I told the ladies at Ashley Stewart during my Meet and Greet last month, you can take basic outfits and add pieces to make your look pop! The look was okay in the beginning but adding the third-piece – the cobalt blue scarf to complement the zipper on the boots – made it all come together. Now the look pops! And the oversized bag was a great accessory as well. So I tried this style tip and received plenty of compliments on my look. Now you try it on for size and comment to let me know what you added as your third-piece. 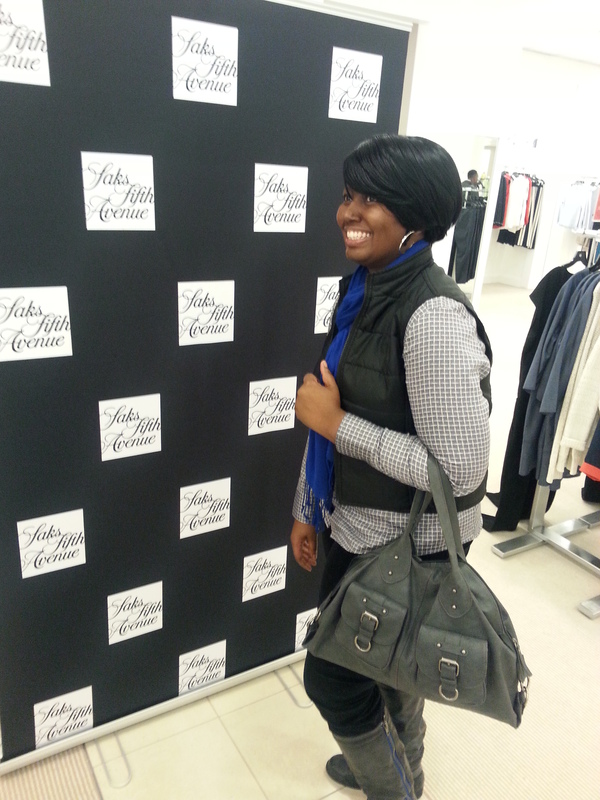 Read more on the fashion tips I shared at Ashley Stewart: Sizable Chic Meets: Ashley Stewart. I need that third piece on today. Feeling drab. All you need is a simple piece to perk that right! A scarf is easy and one of my go-to pieces. Love the outfit and the advice! Could you do a summer version of this post when the heat wave rolls around? I think that’s when adding pieces for interest gets especially challenging.